Goals: The Department of Medical Pharmacology mentoring program is designed to promote success in teaching, research and service, and to retain faculty members within the department and the University. Approach: The Department of Pharmacology has had an active and structured mentoring plan that has been administered by the Department Head following discussion with the full Professors of the Department. New faculty recruits are assigned two specific mentors from the senior faculty in the Department. One mentor is for teaching/service and the other mentor is for research. The choice of research mentor is based on overlap in interests and scientific approach and is a decision made jointly with significant input from the faculty member, the Associate Head and the Department Head. Following agreement from the proposed mentors, a number of steps are put in place to help ensure the development of the new faculty member as an independent and successful academician. 1. Role of Mentor/Expectations of Mentee: The assigned Research Mentor will guide the new faculty member in developing an extramurally funded and internationally recognized independent research program. The mentor will meet with the new faculty member at least once per month in a one-on-one setting to discuss the progress of their work. This will serve several purposes: 1) it will give the new faculty member the opportunity to seek experimental and theoretical guidance in an open and friendly, yet critical, environment clearly aimed at furthering his/her research program, 2) it will allow him/her to seek out assistance from the laboratory of the mentor, and/or other, laboratories to overcome any problems she/he may encounter in her/his work, 3) it will enable the mentor to link the new faculty member with other investigators either at the University of Arizona or throughout the world who may be of assistance in her/his work in terms of experimental resources or expertise, 4) it will serve as an open line of communication for any problems encountered as a faculty member at the University of Arizona as the recruit progresses through the process of promotion and tenure as well as for other aspects of career development and 5) it will allow the mentor to give the new faculty member guidance in the responsible conduct of research for her/him personally as well as for members of the mentees laboratory staff. The Department will do its best in trying to locate the mentee as close as possible (offices and/or laboratories) to the mentor, knowing that a good working relationship entails that ability to communicate regularly. 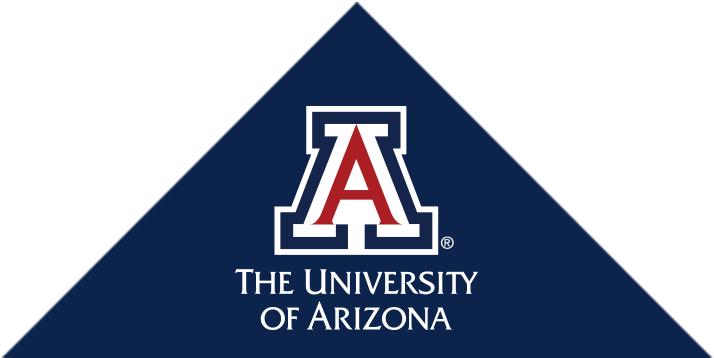 The mentor will help guide the new faculty member in developing strong collaborations at The University of Arizona and with researchers at other institutions as well as in recruitment of students. This process will involve scheduling the new faculty member in the Departmental Seminar program and in presenting his/her work to the College through appropriate venues (e.g., individual departmental research seminars, Grand Rounds presentations). Such presentations will allow the mentee to refine her/his presentation skills with emphasis on messages that are appropriate for different audiences (e.g., clinicians, specialists, or general faculty from the College). Second, they will allow the members of the College to meet the recruit and to get to know his/her work, opening multiple opportunities for collaboration and interaction. Third, they will allow potential students from various graduate programs to know about her/him and the work being done by the new faculty member and to consider joining her/his laboratory. The mentor will also work with the new faculty member to identify outside speakers that are especially knowledgeable in his/her area of research and to invite them to present in the Pharmacology Departmental seminar series. This will not only assist the new faculty member in bringing in potential collaborators, but also outside as potential consultants for their grants and co-authors for scholarly works or scientific symposia. The mentor will also focus on another key aspect of developing the new faculty member’s research program, specifically organizing and presenting at scientific meetings. The new faculty member will have opportunities to attend scientific meetings with full Departmental support and additionally will have the assistance of the mentor in developing potential symposia for specific national and international meetings in the research field. Such forums are meant to highlight the work of the new faculty member and to establish expertise in the research field. The encouragement and direction of such scholarly activities will play an important role in career development of the new faculty. The new faculty recruit will also be invited to participate in meetings within the Department and the University. The mentee will be invited to participate in the laboratory meetings of the mentor if appropriate. Such forums will allow the new recruit to present data from her/his laboratory to a group of critical thinkers as well as providing her/him with a teaching forum for our new graduate students. These sessions will also allow him/her to gain a better grasp of how to run group meetings in a productive and efficient manner and will serve as an example for mentorship of trainees as her/his laboratory begins to grow. Additionally, the mentor may participate in laboratory meetings of the mentee to give input on what aspects of laboratory organization and planning can improve his/her productivity. The combination of these group laboratory meetings are intended to give the new faculty member multiple opportunities to hone management and organizational skills in a mentored setting. This is important because this aspect of scientific training is infrequently taught but is crucial for career development. The mentor will also emphasize the importance of being actively involved in “scientific society” through professional organizations and peer reviewing. Through recommendations to key society members, the mentor will see that opportunities to serve on committees can arise. Similarly, through recommendations to journal editors, the mentor will ensure that the new faculty member will receive opportunities for reviewing assignments for submitted articles within her/his field. The faculty recruit will be encouraged to join appropriate societies where she/he can connect with other sharing similar research interests (e.g., ASPET, SFN, AAAS, etc). The mentor will assist wherever possible in promoting the new faculty member in pursuing leadership positions in these societies. An additional goal in mentoring will be to involve the new recruit wherever possible, in the peer-review process for funding. This will take place by suggesting the new recruit as a reviewer initially for foundation grants and, following securing of independent funding, with recommendations for the recruit to serve on study sections. Such activities will be exceedingly important in allowing her/him to see the strengths and weaknesses of research efforts and allow the new recruit to tailor hier/him own research efforts, manuscripts and grant proposals and to judge the significance of the questions she/he chooses to ask. A major role in the new recruit’s full transition to independence will be through mentoring in grantsmanship. The new faculty member will be encouraged to develop in his/her laboratory an active research program focused on specific research questions that can be clearly articulated and defended for their significance. The role of the mentor is to meet with and to discuss such research questions with the mentee and to validate the scientific direction wherever possible so that the ideas can lead to appropriate preliminary data that will serve as the basis for NIH grant applications. As developing R01 funding for his/her laboratory will ultimately be the measure of the recruit’s independent scientific status, this will be one of the key activities of the mentoring process. The recruit will be encouraged to write and present a Specific Aims page for proposed NIH grant applications and to defend the hypothesis and the testing of the hypothesis by the aims. Following multiple discussion sessions with the mentor, the new faculty member will be encouraged to submit the Specific Aims page to other faculty in the department for critical reading before finalizing the application with inclusion of preliminary data and methodology. Prior to submission, the mentor will critically read the entire application and make comments to the mentee to insure the maximal changes of a positive review by the committee and maximal chances of funding for his/her laboratory. In consultation with the Department Head, there will be discussion of Departmental duties which will be kept to minimal commitments at the beginning in order that the mentee have time to establish their research program. The assigned Teaching Mentor will guide the new faculty member in developing her/his teaching skills. The new recruit will be encouraged to participate in ArizonaMed initially through facilitating Medical School case studies and will be asked to present lectures in classes for graduate students and in selected settings for Medical Students. The new recruit will be encouraged to meet with distinguished medical/graduate educators from within (or outside, if warranted) the department to help him/her develop a philosophical basis for teaching, to review teaching aids and to ensure opportunities for observation/involvement. The new faculty will be encouraged to attend lectures/case discussions of other faculty members in order to observe successful teaching/facilitating approaches as well as to better understand the content being presented by others. The teaching mentor (required) and/or other faculty periodically will attend lectures presented by the faculty member and give formal feedback in written form for the mentee’s promotion packet. Feedback from faculty outside the department and from AMES with be sought so that teaching, communication assessment skills and presentation skills can be continually improved. 2. Committee for Overseeing the Departmental Mentoring Plan: The Department of Pharmacology will utilize its Promotion and Tenure Committee (made up of full professor faculty with 4 to 5 members at all times) to oversee the plan and the progress of all Assistant and Associate faculty including all new recruits. The P&T committee is given the individual mentee/mentor plan and will use the plan as a general guide for career development. The P&T committee may make suggestions to the plan for any individual new recruit in order to accommodate the needs on a personnel level. These changes will be discussed with both the Associate Head and Department Head and agreed upon by vote. In addition to our P&T committee overseeing the mentoring plan, our department’s Annual Review Committee (made up of 3 full professor faculty) will be provide the departmental plan and will use this as a guide for yearly evaluations and also provide feedback over time if the plan needs to be adjusted. The Department Head, Associate Head and P&T committee will review all changes in the mentorship plan. 3. Evaluation process for mentor/mentee relationships: Our Department has established a process of evaluating the mentor/mentee relationship by having both the yearly review committee and the P&T committee look over the mentoring plan and using it as a guide during the faculty progress review. Each year the review committee will be asked to evaluate the progress of the mentee in areas of research, teaching and service (clinical N/A) Based on their percent effort of each responsibility they will be scored at the levels of Truly Exceptional, Exceeds Expectations, Meets Expectations and Needs Improvement. Any new recruit or faculty member that falls in the category of needs improvement will be given an action plan and will meet with the Department Head on a monthly basis to ensure improvement. All faculty will be given a response with recommendations and appreciations in their efforts. 4. Written Expectations: All new recruits and junior faculty currently have written expectations that include research, teaching and service. The depending on the percentage of time devoted to each of the University/COM responsibilities we have established expectations including the number of papers published in peer reviewed journals/avg. per three years, number of grant submissions/year (NIH and non-NIH), number of scientific presentations, research service including journal and grant reviews, and mentorship of graduate/undergraduate students in research. We also have established metrics for required teaching including graduate, undergraduate and medical students depending on percent of time dedicated to teaching. Finally, we also require that all faculty participate in service to the department, College of Medicine and to the University. These are all written expectations that will be evaluated on a yearly basis using the criteria established in number 3 above. A final aspect of the mentoring process is preparation for intermittent tenure review. In consultation with the Department Head, a clear set of goals that are expected of the new faculty member will be laid out so that she/he will have the optimal opportunity to obtain tenure. The Department will indicate a level of publishing productivity over a period of several years recognizing the time requirements for establishing an active and productive laboratory (e.g., 2.5 peer reviewed publications/year on average over 5 years). Such expectations will be balanced by the resources available to her/him as well as the time commitments expected by the Department and the College. The new faculty member will also be expected to demonstrate excellence in mentoring/teaching students, to provide evidence of a nationally recognized research program and to obtain extramural funding. Finally, she/he will be expected to demonstrate commitment to the University’s intellectual environment through scholarship.